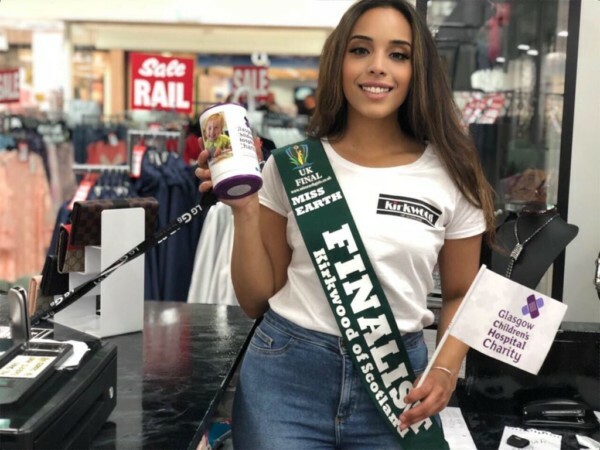 Kirkwood’s of Scotland are hosting a fundraising event on the 17th of August in the Forge Shopping Centre store 12pm-4pm along with Ms Earth Finalist Hannah-Sophie, to raise money for the Glasgow Children’s Hospital Charity Love at First Sight Campaign. Hannah-Sophie who is a National Finalist for Miss Earth United Kingdom 2018, which is a pageant dedicated to raising environmental awareness about the importance of helping those in need and protecting our planet for future generations to enjoy has chosen to support the Glasgow Children’s Charity and in particular the campaign Love at First sight. The Love at First Sight appeal which aims to raise £150,000 to purchase special imaging equipment can detect a condition called ROP, which in the most serious cases can cause premature babies to lose their sight. With this equipment we will be able to make better treatment choices and save more sight. We hope that in the future no child will be blinded by this condition, and this equipment will take us a step further in that journey. Kirkwood’s are holding a charity raffle with some amazing prizes to be won! With the money from all tickets purchased being donated to the Glasgow Children’s Hospital. Prizes include 6 x 1-hour personal training sessions with Alex Fraser, A £50 Gift Card for Kirkwood’s of Scotland, A £100 travel voucher from Stewart Travel, £150 of electrical services from NEB Electrical and many more to be won including beauty, food and fashion vouchers. The store would like to thank all of those for their time, effort and prizes donated to this great cause and making the day a success.